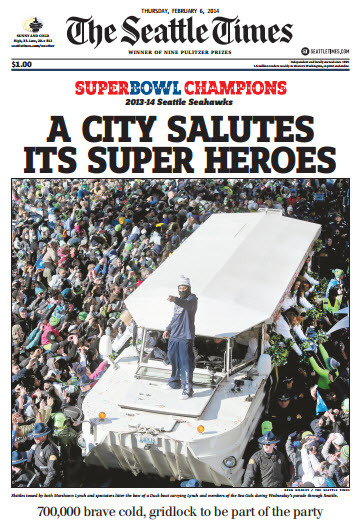 Not like most of the rest of the country but bizarre enough for Seattle. 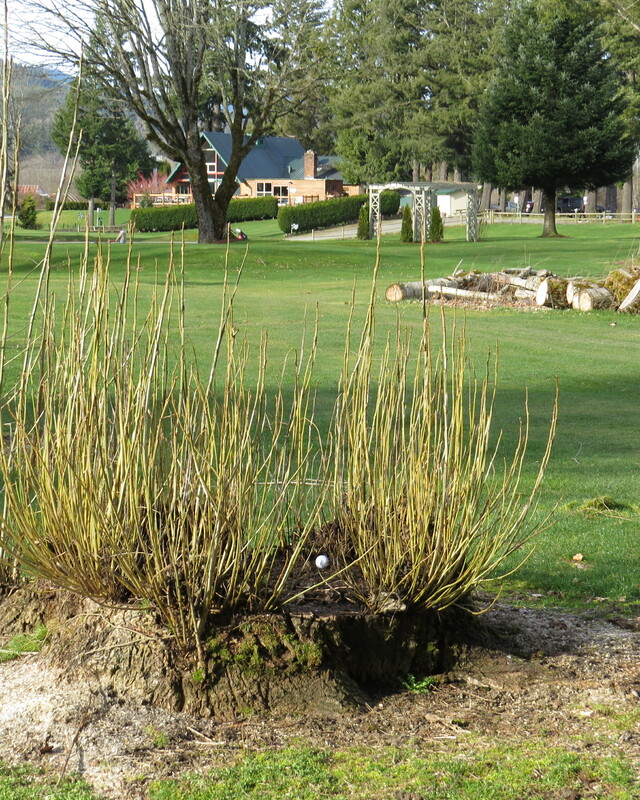 We had a delightful stretch of days to end February: I played golf Wednesday, Thursday and Friday. Friday was especially nice–almost short-sleeve weather with temperature in the mid 50’s by the time I finished my morning round. 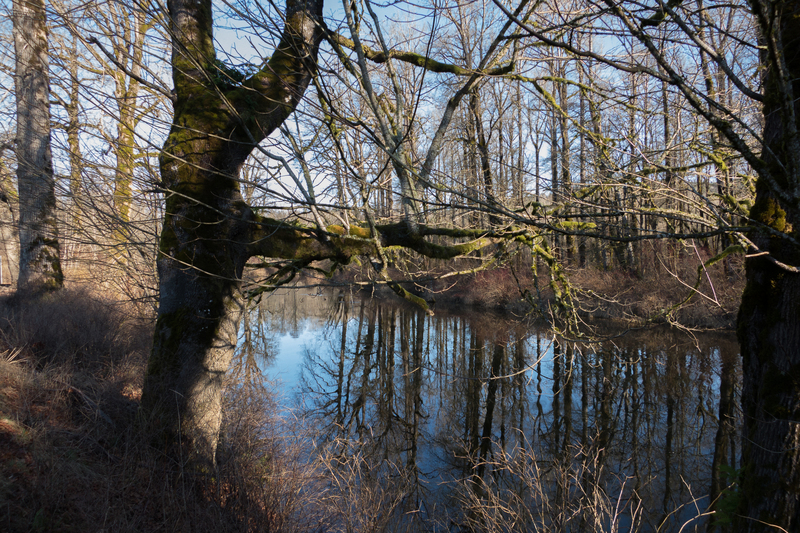 I took this picture of the Meadowbrook Slough along Mt. Si’s hole number 11. Saturday was cold and wet with the temperature twenty degrees colder than Friday afternoon. It began to snow late in the evening and today (Sunday) we woke up to a shallow coating of frozen snow and rain. That didn’t stop us from making a trip into Issaquah to have breakfast at the Barnes & Noble Starbucks where we were treated to a unique, Northwest-only scene. The Starbucks café overlooks a large, nicely landscaped pond and perched on the pedestrian bridge was a magnificent eagle, eyeing it seemed, the mallards cruising nearby. I grabbed my camera from the car but Mr. Eagle departed before I could capture him digitally. My regular golf buddy, Ron Hillis, and I fought the persistent winds to take advantage of a rare dry and partially sunny day at Mt. Si. In spite of this bizarre lie on number 12, I still managed a respectable 83 even after the double bogey on this hole. A lively performance of traditional Scottish music is a great tonic for the dreary Seattle winter weather. 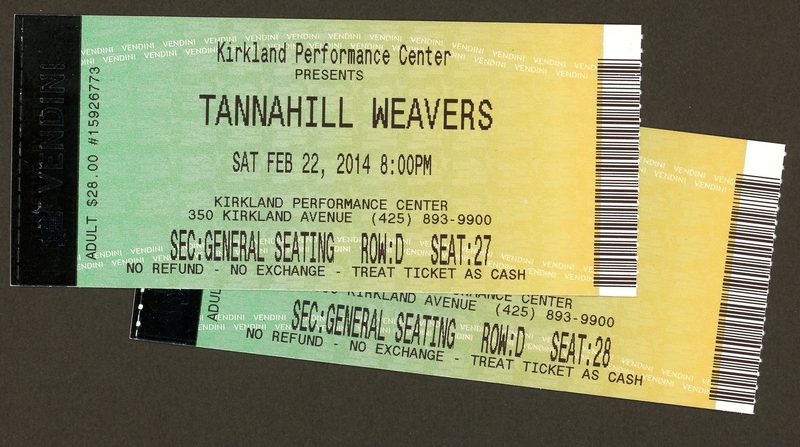 Tonight we attended a concert by the Tannahill Weavers at the cozy Kirkland Performance Center. The band began performing in 1968(!) and we previously saw them in Ann Arbor around 1993, I think. They were as good as I remember and very energetic given this was their seventh show in eight days. I’ve spent a lot of time doing the normal winter-months housekeeping of my stamp collection: tidying up the database, looking for good deals on Ebay, etc. With a few recent acquisitions I now have over 5,000 unique U.S. stamps and over 13,000 items total when I add up the new and used U.S. and Spanish pieces. 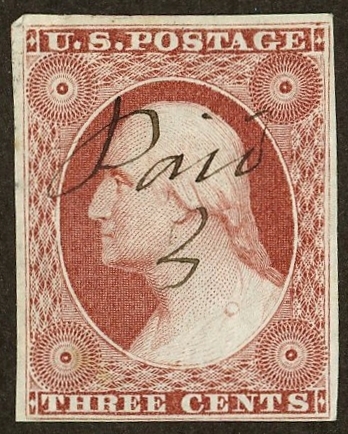 The oldest stamp in the albums is this nondescript 3-cent George Washington item from 1851. It’s in pretty good condition for a stamp that was hand-cancelled and went through the mail 163 years ago. We liked this one. 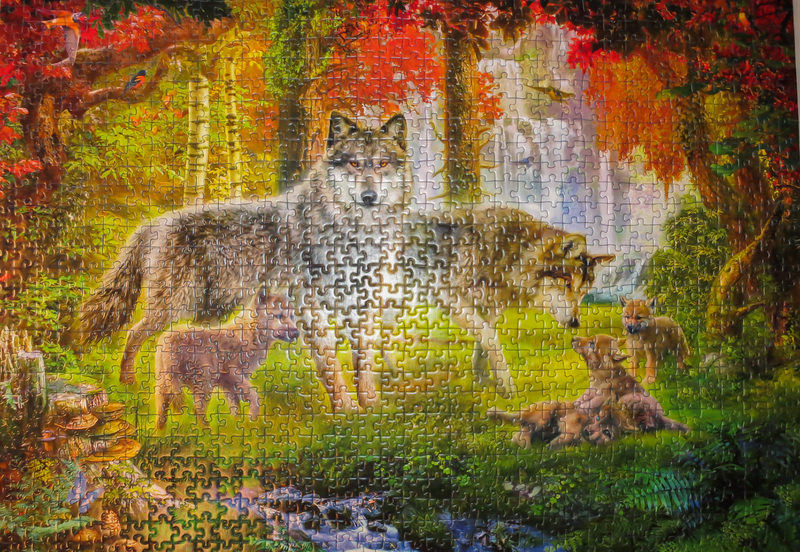 This thousand-piece puzzle had lots of great color and some interesting vegetation surrounding the featured wolves. This little guy has been with us for several seasons now; one winter he even nested in Trisha’s flower pots behind the garage. 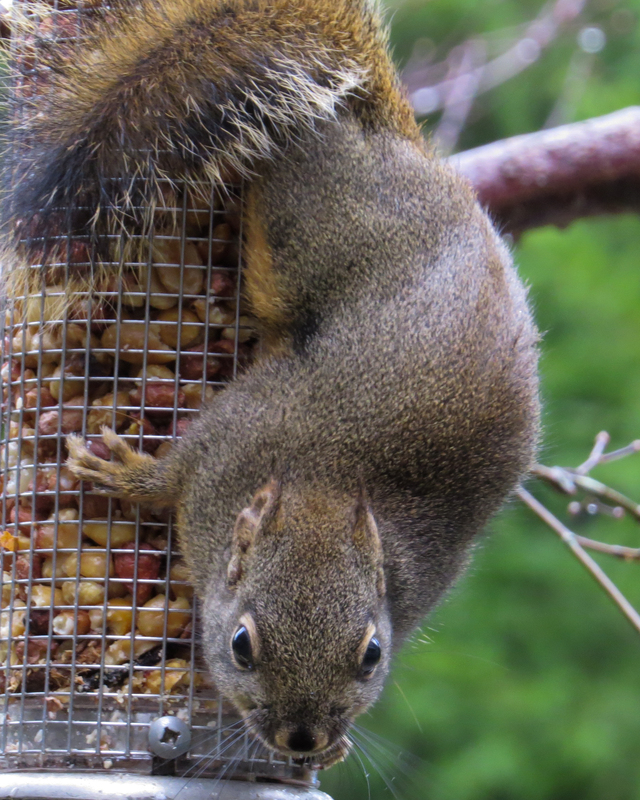 Now he seems to reside in the neighbor’s yard but makes daily visits to the peanut feeder. He is adorably tiny and totally unintimidated by the much larger gray squirrels that also feed on the patio. What an amazing turnout to celebrate the Super Bowl Champs.